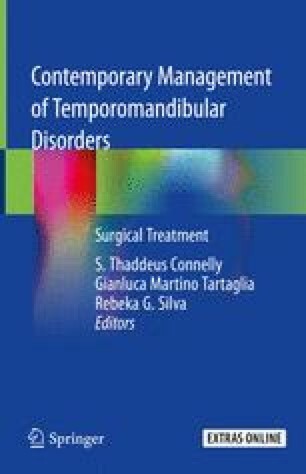 End-stage temporomandibular joint (TMJ) disease due to a multitude pathophysiologic process can benefit from TMJ replacement. The traditional method has been used to reconstruct the TMJ using autogenous tissues from various donor sites in the body. However, as materials and understanding how to use those materials have advanced, the pendulum is now moving much more toward alloplastic reconstruction. This chapter will compare and contrast the two types of reconstruction methods for reconstructing the diseased TMJ. www.NexusCMF.com 2014 [January 15, 2018].